SUNDAY SCHOOL: Brookside offers Sunday school curriculum for Toddlers through 6th grade where they receive the Gospel message on their level of understanding. CLC (Christian Life Club) meets Wednesday nights during the school year. Children earn badges by memorizing Scripture, participating in Missions and doing service projects. This is open for all children ages 2 through the 6th grade. VBS (Vacation Bible School) is held each summer for one week . Children learn through various themes of how Jesus loves and cares for each of them. Each evening consists of Story time, music, crafts, recreation and snack time. There are many other activities held for children throughout the year. SUNDAY SCHOOL: Sunday school is the perfect time to ask questions that otherwise may not be answered. Youth have their own curriculum that makes learning about Jesus Christ fun as well as equipping the teens for life. YOUTH GROUP meets on Sunday & Wednesday evenings. This is for grades 7th - 12th. Youth participate in lessons as well as enjoy time of fellowship. The youth have many activities throughout the year. Events like Fun Fridays - where youth can come and fellowship with each other, lock-ins at the church, retreats & trips to Kings Island round out a year of extra activities. Sunday School is just as important to our adults of every age as it is for our children. Brookside offers several different styles and Sunday school curriculum for adults. Among these is a class geared toward college-age young adults. Classes concentrates on in-depth Bible Study and dialogue classes. Other activities include volleyball, game nights and other special events. Men's Ministries meet the first Saturday of each month for a time of breakfast and fellowship. Other activities include Indian's baseball games, father/child cookouts, canoeing/hiking trips and other events. Women of the church meet the first Saturday of each month for a time of breakfast and fellowship. WMI (Women's Ministries International) Women get together for times of fellowship through video nights, ice cream socials, retreats and other events. Seniors (50+) meet on the first Thursday of every month for lunch and fellowship with one another. Everyone loves Christmas! It's the most wonderful time of the year! But, thousands of children never even have one. Get involved in Operation Christmas Child! This is a Christian ministry that sends shoe boxes full of toys, school supplies and hygiene items (packed by people all over the nation) to children in nations like Rwanda, India and Uganda! Give a child a Christmas! Join Operation Christmas Child and tell everyone! The second Friday of every month, we serve hotdogs and pray with the homeless in downtown Kokomo. In the fall of 2013, we installed a Hearing Loop in our Sanctuary for the hearing impaired. 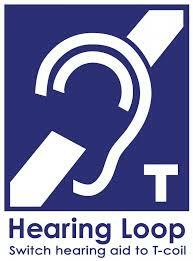 The Hearing Loop is a special type of sound system for people with hearing aids or cochlear implants. We also have headsets for those that need assistance, but forgot their hearing device. The hearing loop provides a magnetic, wireless signal that is picked up by the hearing aid when it is set to the ‘T’ (Telecoil) setting. The hearing loop consists of a microphone to pick up the spoken word; an amplifier which processes the signal which is then sent through the final piece; the loop cable, a wire placed around the perimeter of a specific area i.e. a meeting room, a church, a service counter etc to act as an antenna that radiates the magnetic signal to the hearing aid (no background noise, no head set to wear). We invite you to come join us and experience the ability to hear and worship once again!